12.00-12.30: Warm-up session: “Forest-dwelling in Wartime Middle-earth”. 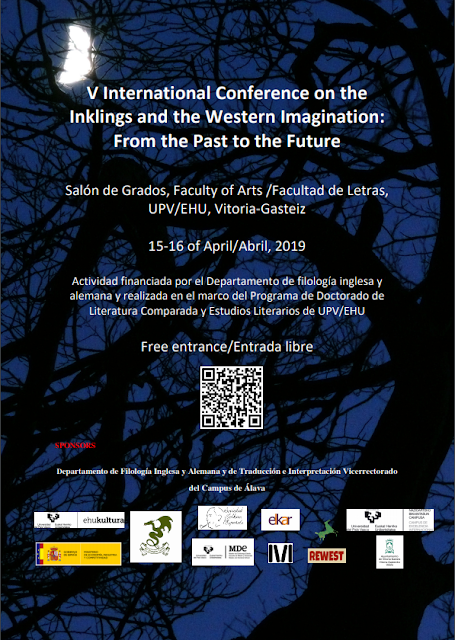 Andoni Cossío (UPV/EHU, UNED). 12.30-13.00: Warm-up session: “From Mount Doom to Ragnarök”. Maddi Susperregui (UPV/EHU). 15.30-16.30: “Peace lovers and war addicts in The Lord of the Rings”. Dra Rosário Monteiro (CHAM e DEP, FCSH, Universidade NOVA de Lisboa). 17.00-18.00: “‘But why all this secrecy? I thought we’d won the battle!’: The Lord of the Rings as a case of grand strategy”. Dr Asle Toje (Norwegian Nobel Institute). 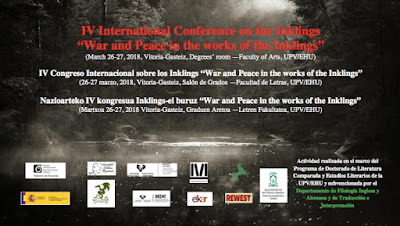 18.00-19.00: “‘La historia de una progresiva decadencia’: los Inklings y la Guerra Interminable”. Dr Eduardo Segura (Universidad de Granada). Conversations with authors at Elkar. Snacks and refreshments courtesy of UPV/EHU. 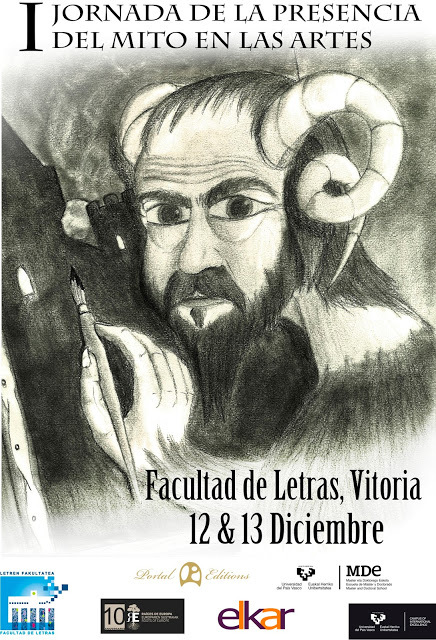 19.30-20.30: Readings from Tolkien’s works by members of the smial El Dragón Verde. 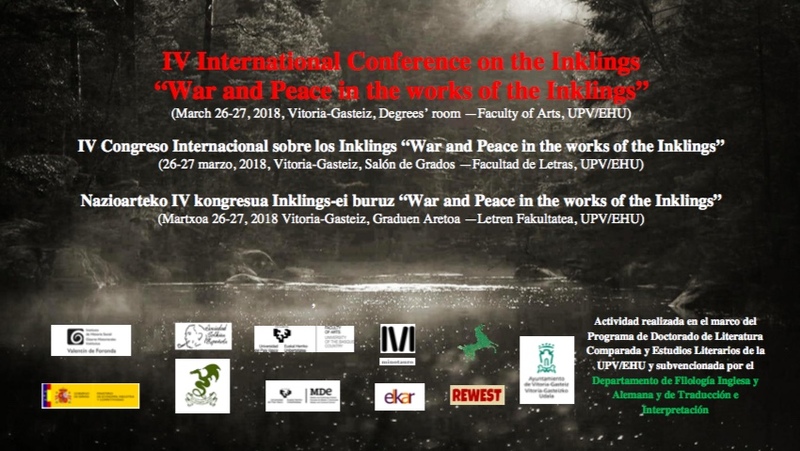 9.00-10.00: “By Jingo, You Shall Not Pass: Imperialism and War in J.R.R. Tolkien's The Lord of the Rings and Terry Pratchett's Jingo”. Dra Amaya Fernández (UPV/EHU). 10.00-11.00: “J.R.R. Tolkien y la épica germánica heroica: la imagen del héroe”. 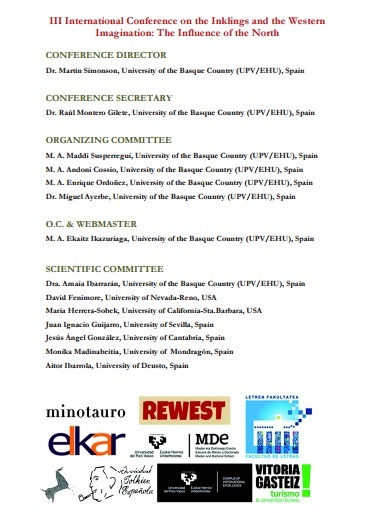 Dr Miguel Ayerbe (UPV/EHU). 11.30-12.30: “Facing Hope: The Lord of the Rings, Beowulf and the Anglo-Saxon Elegiac Tradition”. Dra Angélica Varandas (University of Lisbon, ULICES). 12.30-13.30: “The Lay of Aotrou and Itroun, en la cronología de J.R.R. Tolkien: génesis, análisis y repercusión de la estrofa en el ciclo de la Tierra Media”. Fernando Cid (Asociación Española de Orientalistas de la Universidad Autónoma de Madrid). 15.00-15.30: “El papel de las mujeres en los conflictos bélicos de Tolkien”. Dra Ana María Mariño, Universidad de León. 15.30-16.30: “Tolkien and the Great War”. Viewing of the documentary “Tolkien’s Great War” (Elliot Weaver & Zander Weaver 2014) and discussion. Dr Martin Simonson (UPV/EHU). 17.00-18.00: Final debate and closure. 19.00-20.00: Special session: “The Dream of Peace on Earth – The Nobel Peace Prize and the man behind the award.” Dr Asle Toje (Norwegian Nobel Institute) (Aula Magna).